Yes, I know - all politicos are economical with the actualité. But what this election is underlining is that the Lib Dems are in a league of their own. Last night Clegg came out with a string of jaw-dropping porkies. "I don't want you to be misled by David Cameron. I'm not advocating an amnesty." "We will allow people who have been in Britain without the correct papers for ten years, but speak English, have a clean record and want to live here long-term to earn their citizenship." Because you see, Mr Clegg, that's an amnesty - an amnesty for people who are in Britain illegally. "David Cameron says you can put a cap on immigration. It is complete nonsense, since he knows that 80% of people who come into this country come from the European Union. You can't cap those numbers, so you shouldn't pretend to people, give them false hope that you can bring numbers down when you can't control them in that way. It's wrong to raise false hopes on such a sensitive topic." But how on earth does that square with the official numbers from the Office for National Statistics that we blogged just yesterday? Because those numbers tell us that the proportion is just 25% over the last decade, 50% over the last 5 years, and 40% over the last year for which the ONS has full data (2008). The very latest stats from the International Passenger Survey say it fell to just 34% over the most recent year (to mid-2009). All way short of the 80% waved around by Clegg. Indeed, so egregious was this particular porkie that St Vince had to go on R4 Today this morning to explain it. Except that he couldn't. Instead, he came up with some shifty blather about Clegg using a different unofficial definition of immigration, and taking the 80% number from some article he read in a magazine. Shocking stuff from a Saint of the Realm (and listen to Tim Harford demolishing the LD stats here). "No, I'm not advocating entry into the Euro, I'd only advocate it, by the way, if ever, if the economic conditions were right, if it was good for your jobs, good for pensions, good for savings." "Participate in a successful single currency. Being part of a successful single currency will bring low inflation and low interest rates. Staying out will result in less investment and a loss of influence." No mention of that last night. As Tyler has been discovering in the local campaign, the LDs may look clean, but they fight real dirty. They major on gross distortions of what their opponents say and do, and make contradictory policy promises to different groups of voters. For years they've managed to get away with it, but only because they've never seriously been in contention at the national level. Now they are in contention, we are getting a good look at just how shifty they are. Can you just imagine how they'd cope with government? With their half-baked policies built on their distorted half-truths, we'd be calling in the IMF within weeks. It's amazing listening to those metro-media prog con pundits seeking to excuse Brown's abominable behaviour in Rochdale. Apparently, we all get angry about things, he's under a lot of stress, and he was just having a bad day. But that's not at all what the rest of us heard. What we heard was a two-faced bully who holds even his own supporters in contempt. Contempt for the perfectly reasonable concerns of a perfectly reasonable woman facing up to the real problems millions like her encounter in their day-to-day lives. And whether Brown likes it or not, they are concerned about immigration. He may not want to discuss it, but out here, it's A Very Big Issue. We've blogged this many times, so we won't do so again here. But there is one point worth reiterating. Quite a bit of the commentary we've heard over the last 24 hours has focused on the point that we can't do much about immigration, because of our EU membership. But that is nonsense. The truth is that from 1997 to 2008 (the most recent year for which we have comprehensive ONS stats), net migration into the UK totalled 2 million. Of that, just 0.5m came from the EU - including the new members like Poland. And that is all migration we could stop. Yes, of course we would want to make exceptions for genuine asylum seekers. And we might want also to make exceptions for some high skill workers (although we could just give them fixed-term work permits). But that is nothing to do with our EU obligations. In truth, the EU point is a cop out. It's yet another convenient argument for closing down discussion on immigration. Metropolitan prog cons don't want to discuss it, and they hold those that do in contempt. 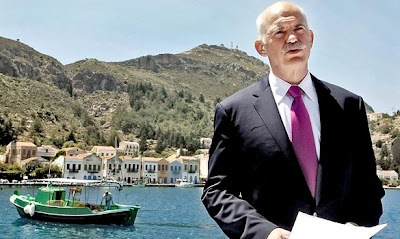 On the morning after the head of the OECD likened the Greek debt crisis to an Ebola Virus sweeping across Europe, Tyler took part in a radio discussion with Stuart Wallis, the head of the New Economics Foundation. All agreed that HMG's deficit must be tackled, but at issue was whether we could avoid painful spending cuts by increasing tax revenues instead. Which all sounds much easier than cutting schools, hospitals, and welfare. So is it an alternative to TINA? 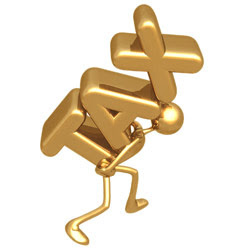 And more generally, as we've blogged to death, higher taxes cut economic growth. And given our current dire situation, cutting economic growth is not something any of us should feel comfortable about. Growth is the only way we can get out of this hole, and lower taxes are just about the only reliable tool at our disposal to deliver that growth. PS This morning's discussion took place on Colourful Radio, a new DAB digital station for London. It specialises in soul music and current affairs - a fantastic combination. But the best bit is that it was set up and runs with no taxpayer support whatesoever - nothing from the government, nothing from the Mayor, and nothing from some obscure media engagement quango. This is private enterprise in action, and they will sink or swim by meeting the needs of their customers. May we wish them the very best of luck. 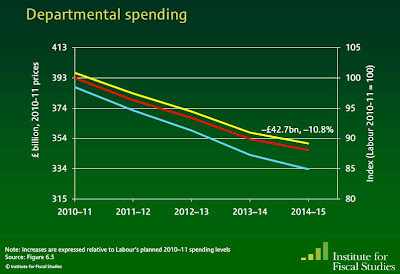 Today's scary report from the IFS spells out in forensic detail what we should already know - the spending cuts currently identified by all three main parties fall way short of what will be needed. Now, in normal circumstances these would be huge cuts. But against the background of a £90-150 bn structural deficit they're not enough. Worse, each party has committed itself to protecting certain favoured spending areas - such as the NHS and overseas aid - which means that the cuts falling on the other unprotected areas will be so big nobody wants to even think about them. So what we're being shown instead is a huge blank. The vast bulk of the aggregate spending cuts implied by each party is simply unspecified. The Conservatives have a £52.5bn blank, Labour around £45bn, and the LDs £34bn (although note that the smaller LD blank largely reflects the fact that they're being less ambitious on the total cuts). And remember this: even if they could fill in the blanks post-election (ie assuming there really is a secret plan ready to roll), their aggregate cuts are still not going to be enough. As the invaluable Jeff Randall keeps reminding his interviewees, merely reducing our rate of borrowing does nothing to address our now wobbling mountain of government debt. To do that you actually have to start repaying it - not simply go on borrow at a slower rate. Meanwhile, Tyler is busy on the campaign trail. He's spent the last couple of days resuscitating the local blue (party blue, that is) website, and posting some much needed photo coverage of the campaign. Last evening, he and Mrs T attended a local hustings debate, where our candidate fronted up to his LD, Labour, and UKIP opponents. Very interesting - even if the village hall seats were designed more for stackability than two-and-a-half hour sitdowns. Our man put in a good performance, enlivened by a favourable reference to Maggie T, which provoked a satisfyingly outraged reaction from the many LD activists in attendance. And on the night, the Labour candidate, 24 year old Tom Miller, was excellent*. But the LD candidate.... oh dear, oh dear, oh dear. Tyler had already heard she wasn't up to the job, but this was his first opportunity to actually see her in action. And it left him not only worried for the local constituency should she get elected, but also, quite frankly, for her. She's simply not up to it. Sure, she's very concerned about the plight of children, refugees, the mentally ill, the atomic bomb, airmiles fruit, and a host of other worthy causes. In fact, she's very good at hand-wringing. Literally. But what she completely fails to display is any grasp of the real policy issues involved. Added to which, she's embarrassingly inarticulate and ineffective. In truth, soft-hearted Tyler ended up feeling rather sorry for her. But God knows how she'd cope in the Westminster bear pit - she'd be eaten alive. And God knows how we local residents would fare with her as our MP. 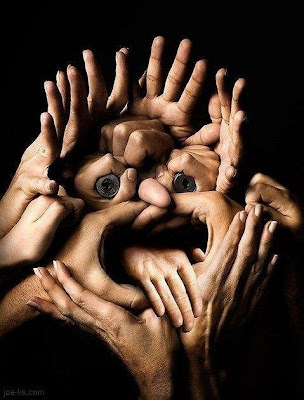 The fact is that hand-wringing can only take you so far. It's perfectly fine for a vicarage tea party, or a council debate on recycling bins. But right now, neither of those are our principal concern. Our principal concern is HTF do we repair the damage wrought by 13 years of Labour misrule? And HTF do we get this country back onto a sustainable economic footing? And on those issues, we need a deal less handwringing, and a deal more honesty. *Update 28.4.10 - Well, I guess you should never trust a pretty face, especially when it's coupled with a highly persuasive and amusing presentational style. Having now Googled Tom Miller more thouroughly, we discovered this post by Tory Bear. TB recounts how Miller was closely involved with the appalling Derek Drooper, and was forced out of his previous Labour blogging role over his participation in Drooper's gutter politics smear campaigns. Not many people know that. At least, not many voters round here know it. Tyler's feet are complaining bitterly about their weekend pounding the pavements. The opposition here in the leafy glades are the Lib Dems, and they are mounting their usual ferociously unprincipled campaign. Their big pitch is that the Tory candidate is a professional politician who is only fighting this seat because he's failed to get in elsewhere. They have distributed thousands of fake local newspapers headlining this point, and explaining how their own candidate is a local councillor and ex-Mayor, 110% committed to local shops for local people. No mention of the fact that the Tory is one of our own County Councillors, lives only a few miles outside the constituency, has already pledged to move his family into the constituency if elected. Or that far from being a career politician, he's actually had a very successful career in business. Or that their candidate fought and lost another constituency in 2005, and may very well have applied for a stack of LD nominations elsewhere. Or that... well, frankly, she doesn't look up to the job. Yes, fair enough. This is an election, not some sacred act of democratic accountability. But what does stick in the throat is the preposterous LD line that they are somehow above the Punch and Judy fray, and that they offer a non-political alternative to the tired old discredited parties. Peter Oborne's article yesterday gives a good overview of how the LDs actually operate, including several examples of the fake communications they routinely send out. ...you can secure support from voters who normally vote Tory by being effectively anti-Labour and similarly in a Tory area secure Labour votes by being anti-Tory. Oppose all service cuts ... No cut is going to be popular and why court the unpopularity that goes with the responsibility of power?" Although if, say, you were living in a country with a huge fiscal problem, needing to make unprecedented spending cuts, you might slightly wonder why the LDs should be allowed anywhere near the controls. So Greece has finally bowed to the inevitable. After its latest credit downgrade yesterday, and with its government bond yields soaring towards double digits, it's called in the IMF. 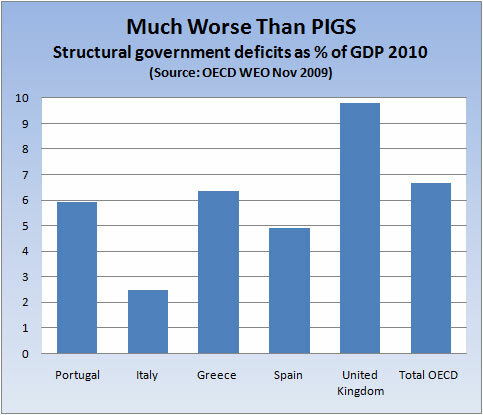 But what the Greek government still hasn't spelled out is just how its going to balance the books. Sure, it's taking the €45 billion loan, but what precisely is going to be axed? With riots already underway, axing is going to prove more than a tad tricky. Of course, we don't need to worry because we're not Greece. For one thing... umm... er... Ah, yes, we're so much bigger than they are. That's it. So whereas they owe £260bn, we will soon owe £1.4 trillion. No, no... that's not quite right... umm... our economy's so much bigger. Yes, that's it. We're in much better shape because we have a bigger economy. And come to that, their government debt in relation to GDP is not so much lower than ours. According to the OECD, by 2011 theirs will be around 100% of GDP, compared to 70% for us. In truth, the only thing that's stopped us getting into the Greek soup already is that we're not in the Euro. Lashed to the Germans, we wouldn't have been able to take the easy way of 25% currency depreciation, and we wouldn't have the safety valve of another slide if the markets decree. Unfortunately, while currency depreciation may stave off the bailiffs for a while, it does so only by making each and every one of us poorer through the inflation tax on our imported goods. Not to mention the spiralling cost of our Greek holidays. PS From now until the election, blogging is likely to be sporadic. Like all good men,Tyler is going to the aid of the party. The Clegg effect seems to be opening all kinds of nightmarish possibilities in the leafy glades of Surrey, and the Major and I are hitting the pavements. A couple of interesting emails today. The first was from the Village Postmaster complaining that he's now little more than an unpaid tax collector. He reckons he now has to collect/pay no fewer than 12 separate taxes, from VAT to National Insurance to National Lottery Tax. Tyler reminded him that's what happens if he will go on electing socialist governments. The second was from Andrew Lilico drawing our attention to the latest ONS stats on household incomes. It seems that households' real disposable incomes (ie real incomes after tax) are now falling - down nearly 1% in the most recent quarter. In plain English, the average family is now getting poorer. Labour's taxes combined with the damage they've inflicted on our economy have finally overwhelmed us. Which set us wondering how Labour's record on this vital measure stacks up since 1997. Over the entire period (1997 Q2 to 2009 Q4), the ONS says that households' real disposable income has increased by 2.1% pa. 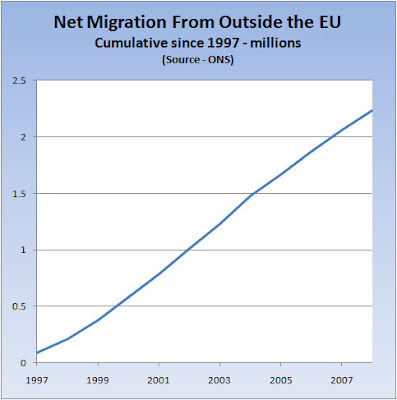 But that is an aggregate measure and takes no account of the substantial growth in population over the period (from all that inward migration). Adjusting for that, the increase per head is actually only 1.7% pa. So how does that compare to what's been achieved by previous governments? Yes, the pattern is pretty clear. 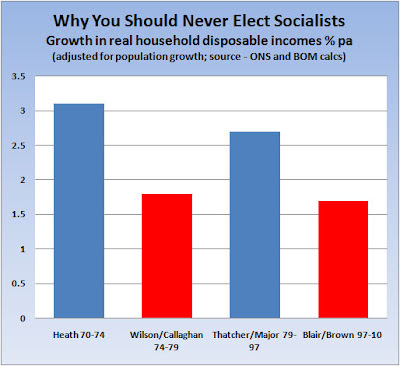 Incomewise, the average family does a whole lot better if the socialists are kept well away from the controls. As we hurtle towards our Jedward style election, the prospect of a hung parliament and some kind of coalition government looms ever larger. And the key question is whether such a government could possibly deliver the cuts we must have? Because what we all need to remember is that these cuts are unavoidable. Depending on whose figures you believe, HMG is living £70-140bn pa beyond its means. And the only real question is whether we make the cuts in a considered way - attempting to safeguard the more valuable bits of public spending - or whether we make them over a single weekend of panic with an IMF gun pointed at our head. Which sounds spot on to us. We'd be straight into a re-run of 1974-76, when a wobbly Labour government failed to grip a huge fiscal deficit, until forced to do so by a melt-down financial crisis and an IMF visit. And in that case, the government had actually started out with a majority - albeit wafer-thin (3 seats). But despite that grim experience, there are those who reckon a coalition would actually be better at making the cuts, because it would have broader legitimacy. After all, our strained first-past-the-post electoral system means that no modern government ever has majority support (the current one only got 35% of the votes). So wouldn't it be better to combine the support for two parties? Frankly, nobody has any idea. While it is true that coalition governments overseas have from time-to-time managed to implement substantial cuts programmes (eg Germany in the 1990s), we have no modern experience of such governments. A coalition would be trying to invent the rules at the same time as tackling the biggest peacetime fiscal deficit ever. Which doesn't sound at all reassuring. And there's another key point. Minority and coalition governments only ever seem to have been able to succeed after a prolonged period of failure and crisis. For example, a minority government in Ireland managed a successful consolidation in the late 80s, but only after nearly a decade of failure during which government debt interest payments soared to 30% of revenues (eg see here, and see here for excellent Policy Exchange overview of selected fiscal consolidations in the UK and around the world). Of course, as we've blogged before, there is absolutely no guarantee that even a majority Tory government would actually make the cuts required. And it may be that nobody will do all that's required until we as a nation have suffered our Dunkirk moment. But a coalition government - probably with the increasingly unconvincing St Vince as Chancellor - would be the least likely to grip anything. Sooner or later we'd face that IMF gun, and a slash and burn emergency package that would make no discrimination between what we do and do not need. PS If you missed yesterday's Chancellor's debate, you should definitely catch up on the demolition of St Vincent da Flipflop. Guido has the key clip here. 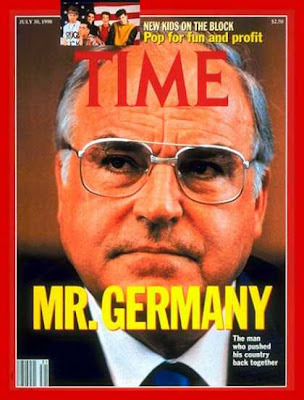 PPS On those German cuts, they were necessitated by the bill for German reunification. Kohl had initially promised reunification could be achieved without the need for tax increases. When that turned out to be nonsense, he was forced to introduce a string of increases in social contributions (aka hidden taxes - cf NICs), sell off government assets, and even fudge the budget numbers (thank God that could never happen here). Only after taxpayers started getting seriously pissed was he forced into serious action on spending. 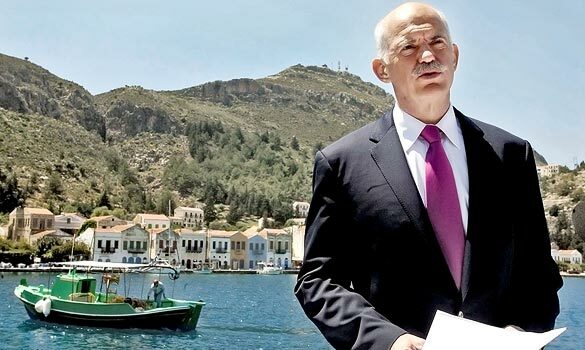 And he was further pressed by the need to meet the strict fiscal criteria for joining the impending Euro - a kind of external IMF-style cosh (only later did it emerge that half the other joiners, like Greece, cheated their way in). We've blogged the Misery Index before. It was first devised when Labour last had a go at wrecking our economy, back in the 70s. 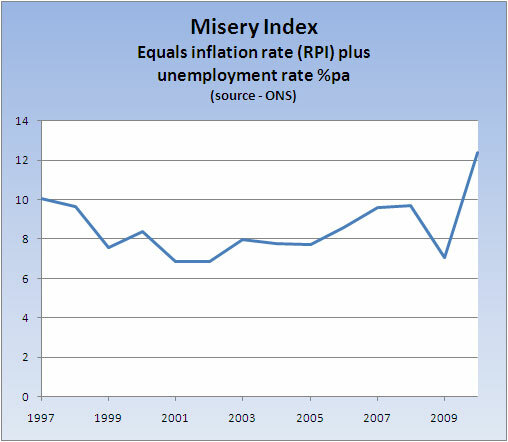 It comprises the sum of the annual increase in the RPI and the unemployment rate, which are two key statistics in gauging economic misery. The latest reading has pushed the index up to 12.4%, comprising 4.4% RPI inflation and an 8% unemployment rate. So they really have done it again. When Labour came to power, the index was running at 10% and falling. It is now 12.4% and rising. And today's unemployment stats show quite clearly that Brown's apparent miracle of stabilised employment in the teeth of recession was no more than a cruel illusion. And the unemployment rate of 8% compares to the 7% they inherited. PS Tyler lunched with a friend who has now completed his contingency arrangements to bail out on 7 May. He has a private pilot's licence, and even if the air space eco police have again closed us down, he's off. He reckons remaining here with Brown still at the controls will be far more hazardous to his health than any conceivable cloud of volcanic ash. But he'll need an early start - our guess is that the runways could be pretty packed that day. One of the ways that you're being made to pay for Brown's catastrophe is via higher prices. And today's worse than expected inflation numbers underline just how painful it's getting. All the official measures of inflation have jerked back up again, and are almost back at the levels last seen before the financial crisis broke in 2008. It's being driven by higher energy prices on world markets, but also by the fall in the value of sterling which is increasing the prices of everything we import. And these days, that means virtually all the goods you need to survive day-to-day (eg I'll bet you're not wearing a single item of clothing manufactured here - Tyler's currently wearing India, Bangladesh, Sri Lanka, and Egypt... although his socks are of unknown origin). But while inflation is running between 3.4% and 4.8% (depending on which of the government's various measures you pick), average earnings are only rising by 0.9% pa. Which means that over the last year, the average worker has had his real income squeezed by between 2.5% and 3.9%. And it looks set to continue. Earnings rising very slowly, while prices rise very quickly. But in truth, wage earners should consider themselves lucky. Many people no longer have a job to generate any earnings at all - another million have found themselves in that position since the recession began (official unemployed plus inactive). And of course, pensioners dependent on fixed savings have seen their income walloped since the Bank of England fired up the printing presses and abolished interest on savings accounts. As we've blogged many times, anyone with money - be it earned income or savings - is a sitting duck. And there is no way that a LibLab coalition will have the steel to do what's really needed - ie a substantial cut in public spending. Which means the pain will land squarely on those with earnings and/or savings. Some of it will come via much higher taxes, and some from higher inflation (Darling's decision to freeze personal tax allowances actually combines the two, with people lifted into higher tax brackets by inflation itself). And yes we know, given that everyone will have to tighten their belts (made in Cambodia), it's only fair that those with money contribute their share of tightening. Fine. Just so long as the state and its clients remember that they ultimately depend on those who earn and save in order to generate the income and the taxes on which they depend. And that's something our campaigning politicos seem to be keeping awfully quiet about. PS You know all that stuff about how HMG could lose its AAA credit rating? You can forget it. In reality, the bond market reckons HMG has already lost it. According to Credit Market Analysis, HMG's debt is already trading at prices below AAA (based on Credit Default Swaps). The market believes there is now a 1-in-15 chance HMG will default within 5 years. So the US is still AAA. Germany is still AAA. France is still AAA. Australia is still AAA. Even Gruniad Sweden is AAA. But we're not. Somewhere down there, Gladstone will be spinning. The LibDem plan to abolish income tax for everyone earning less than £10 grand has certainly registered. You and I may understand their sums to pay for it don't actually add up, but then again, nobody's sums on any of this stuff add up. And outside the groupthink confines of the Westminster village, it is a truth universally acknowleged that tax cuts win elections. So why aren't the Tories making more of an effort to counter the LDs repositioning themselves as the party of tax cuts? BOM correspondent KK reckons Cam must be crackers, and urges him to remind voters of the Tories' past record. In particular, their record under Thatcher's Brilliant Chancellor Lawson, who delivered repeated real terms increases in the personal tax allowance to lift millions of low paid workers out of tax. In the six years of Lawson's Chancellorship, 3 million new jobs were created. But the number of taxpayers only increased by one million. Lawson had increased the real inflation adjusted value of the personal tax allowance by 15%, effectively lifting 2 million of the low paid out of tax altogether. And what's happened in the two decades since then? Well, there are another 2.2 million jobs. But unfortunately, the number of people paying tax has increased by 4.3 million. So all of those 2m low paid workers that Lawson lifted out of tax have gone straight back in. And as things stand, it's about to get much worse. Darling has frozen the personal tax allowance at £6475 pa, so as inflation kicks in - as it surely will - millions more will be dragged into the tax net. Cam should spell it out. His is the only party that has ever actually delivered what Clegg is promising. And he should tell us that lifting the low paid out of tax will be a priority for his government. Not only is the right thing to do, but despite two decades of lefty propaganda about the sanctity public services, tax cuts are always a vote winner. Tyler again spent a chunk of his sunny weekend out canvassing. Post the leadership debate the doorstep mood seems to have hardened against all politicians - they're all as bad as one another... I may not vote at all, etc. But there is also a view that given our dire straights, the politicos should stop bickering and come together for the good of Britain. Why can't we have a coalition like we had in the War? The answer of course, is that we aren't at war. But in fairness, we have had coalition government in peacetime as well. And in circumstances not so very different to those we now face. The last time we tried full-blown peacetime coalition was in 1931, in response to the financial and economic crisis that followed the Wall Street Crash 2 years earlier. 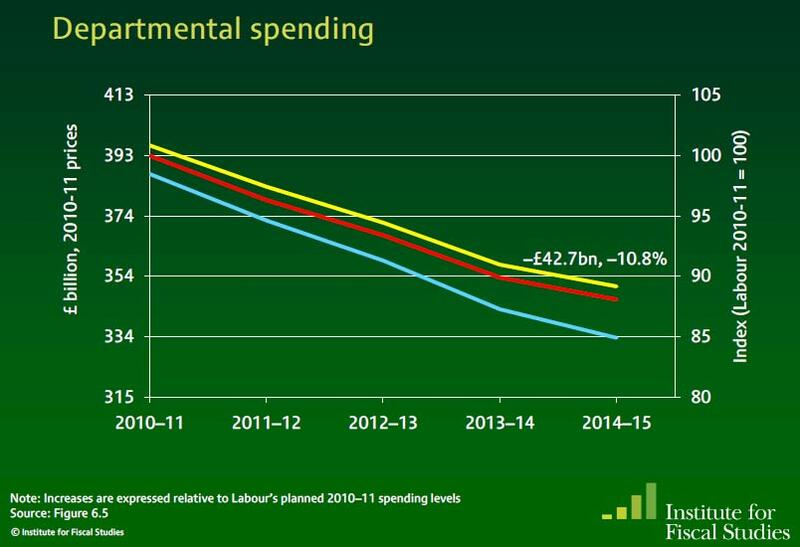 Then too, we faced the need to make big spending cuts, and then too, a Labour government was not up to the task. So we got a National Government, comprising a coalition of Conservatives, Labour, and Liberals, under the leadership of Labour's Ramsay MacDonald (see slick party political above). It was very popular, and in the subsequent election it won 90% of the seats. But the bulk of the Labour party split away, and was pretty well wiped out, losing 80% of their seats. The Liberals also split and were rewarded with a similarly savage electoral mauling. Only the Tories came up smelling of roses, winning 55% of the vote and 76% of the seats: their man Baldwin later took over as PM. It tells us that although it was called the National Government, and although it pretended to be a coalition, it was in fact a Tory government. And as time went by, it came to be increasingly dominated by Tories. Unfortunately, the coalition that's now hoving into view will not be a Tory government. It will be a LibLab lash-up. And does anyone seriously imagine such a lash-up will be capable of making spending cuts on the scale required? It will deliver us that financial crisis that's been brewing. And our return visit from the IMF. PS On Saturday I met my first certified BNP voter of this election. It was alarming. Not because he had a shaved head and a pitbull on a chain, but because he didn't. He looked perfectly respectable and was washing his BMW outside a neat 4 bed executive detached. That must be what happens when Westminster no longer represents the views of ordinary taxpaying law-abiding punters in 4 bed executive homes. Although ignored by those arguing for continued high government borrowing "to prop up the economy", borrowing unfortunately costs money. And under Brown's crazed deficit spending plans, the average household will soon be shelling out more in taxes to pay interest on the National Debt than they are paying interest on their own mortgage. When last sighted in 2008, the average British household was paying £37.50 per week in mortgage interest, or just under £2000 pa. 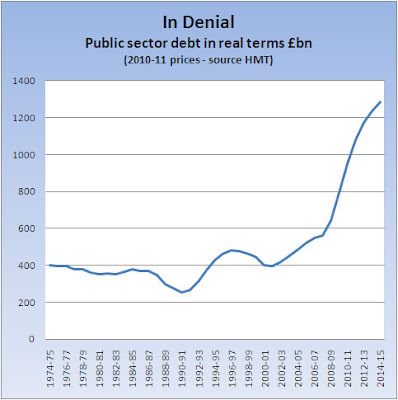 Which aggregated over all households comes to around £50bn pa. That compared to interest on the National Debt in 2008-09 of £31.6bn, or around £1250 pa per household. But since then, the National Debt has begun to soar, bringing with it much higher interest costs. 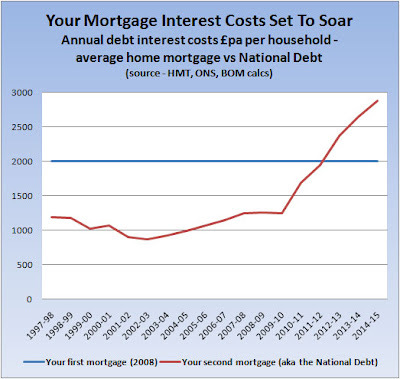 By 2014-15, even on the government's own highly optimistic projections (see this blog), costs will reach nearly £73bn pa. That's £2900 pa for every single household - way more than their own average mortgage interest bill (especially since average rates on existing mortgages are down since 2008). So there we are. 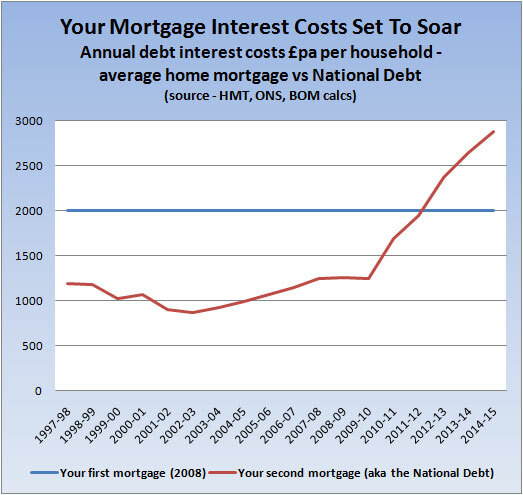 You may have thought your biggest and most onerous debt was your mortgage, but it isn't. Your biggest most onerous debt is Brown's spiralling credit card bill. PS There's a curious argument around that National Debt interest isn't really a problem because most of the debt is held by investors inside the UK. The argument was repeated this evening by the lead signatory of this latest letter from 365 left-wing economists opposing the Tories £6m efficiency savings. But even if it were true (and actually nearly one-third of the debt is owned by overseas investors), that's a bit like saying that the government employing a few more hundred thousand nappy outreach facilitators doesn't matter because they all live in the UK. It matters to taxpayers who have to foot the bill. Knob twiddling is always such fun. Which is why all the TV news channels assembled their own teams of twiddlers to entertain us during the leaders debate last night. And the results were interesting. There's little doubt that Clegg was the debate's overall winner, both because he seemed fresh and confident, and because he was able to present himself as the outsider offering real change from the old discredited two party politics of the past. That's always been the LibDem pitch of course, but Clegg was really able to get it across last night - powerfully assisted by the sleaze scandal, from which the LDs have somehow distanced themselves. Which, for those of us who are desperate to see a Tory win, was all rather discomfiting. It was especially discomfiting when we saw what those twiddlers were telling us. Because when it came to Cam, the bits that went down best - by a mile - were the bits where he was expounding traditional Tory themes. Proper punishment for criminals, school discipline, much tighter immigration controls (see vid), and - most interestingly - cutting wasteful government spending to fund tax cuts (Cam's waste examples were topical and excellent). Traditional Tory themes became traditional Tory themes because they represent what very very many of us believe. They are the themes that have guided Tory leaders throughout Tyler's lifetime - Michael Howard could - and did - say exactly the same stuff in 2005. And they are the themes that Tony Blair aped to win three elections. Unfortunately they are also the themes that Tory modernisation has tried to blot out. Which is why voters now think they're all the same, and why Cam's task in this election is turning out to be much more difficult than it should have been. So let's hope those knobs weren't twiddled in vain. Let's hope Cam takes the hint. 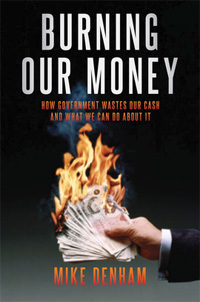 Much more on cutting government waste - with examples; much more on the importance of tax cuts (such a shame the Tories are still nailed to the fuel tax cross); more on immigration controls (where the strength of Tories' cap and points system still hasn't fully registered); more on locking up criminals; more on school discipline. Right. Tyler's now off to the hairdresser for his blue rinse. PS Yes, I do understand that knobs are only as good as the twiddlers twiddling them. And we have no real idea how the TV stations selected their twiddlers. But since the results confirmed the twitchings of Tyler's own knob, and the impact of previous policy announcements (eg see here) he's going to accept them as both representative and definitive. Would we have voted for this? If you're anything like Tyler, you'll have mulled over some of those great "what if" questions from history. And one of the most intriguing is what if Britain had made peace with Hitler in the summer of 1940? It's generally reckoned that once France had fallen, large swathes of our ruling establishment were in favour of a deal, and Hitler seemed to be offering one. But let's change the question slightly. What if there'd been an election after the fall of France? What if the choice had been between a war party under Churchill and a peace party under AN Other? How would we have voted? Of course, with the benefit of hindsight and safe in the knowledge of our final victory, we'd have voted overwhelmingly for Churchill. But at the time, with most of Europe already crushed, the panzers massing outside Calais, and the mighty Luftwaffe buzzing the Channel, some belligerent old toff promising to have us fight on alone, street by street through our towns and cities, would likely have lacked mass appeal. Indeed the whole campaign would soon have switched focus. Instead of blood, sweat and tears, we'd have had a debate about negotiating the best possible terms for British entry into the European Co-Prosperity Community. About how by being members we could secure a seat at the top table, and could influence policy making more in the direction of free markets and stuff. And how we would insist the Community made special arrangements to preserve the British Empire and our historic links with kith and kin across world. And most of all, how British Reichsmarks would still have the King's head on the back (King Edward's head, that is). In other words we'd have slipped straight out of the phoney war into a phoney election. An election in which the really big issue -whether to fight while we still had a chance - would barely have got a look in. And so it is we face our phoney cuts election. When the campaign began last year, we did indeed have a war party and a peace party. But as it became clear that the panzers weren't coming straight on over, we punters began to go seriously cold on the idea of war. The war party trimmed its message accordingly, and all that remains now are a few general hints that they will cut spending a bit more quickly than the peace party, but nothing like the blood curdling New Age of Austerity once promised. Because peace is so seductive. Last night, Tyler attended a debate at the IEA, in which the SDP's Lord Skidelsky lectured us on why cuts are bad and Keynesian deficit spending is all that stands between us and another Great Depression. As he put it, "it's the economy, not the deficit". An attempt to cut the deficit now will result in mass unemployment and a return to the dark days of that evil woman. Is that what we want? And you know, it's kind of hard to mount a killer argument against that line. The economy no longer seems to be plunging down, and those much feared bond market panzers generally seem to have remained parked in their bases. We seem to have escaped the fate of lesser European nations, so why rock the boat? For sure, you and I understand it can't last. You and I realise that the government is spending far too much and that large chunks of it are just been flushed down the bog (eg see this post). 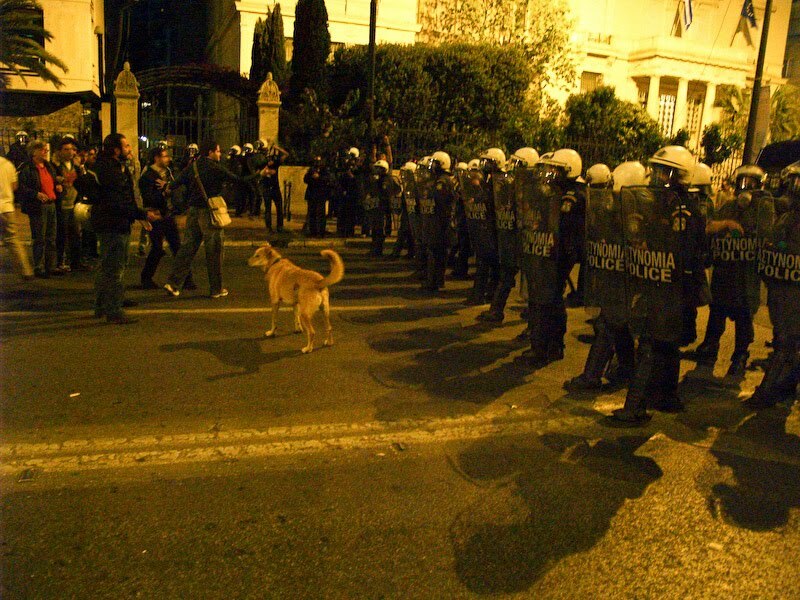 You and I watch what's happening in Greece and shudder (see today's excellent piece by Ed Conway). And you and I understand that our debt is mounting at dizzying speed (half a billion a day), and that our debt interest payments are going through the roof (by 2014-15 ,even on the government's optimistic projections, they will be £3,000 pa for every single household). One day we know there will be a terrible reckoning. But out in the bright Spring sunshine, it all seems so far away. Skidelsky and his SDP fellow travellers seem like reasonable men, so why not just trust them? As punters, we certainly don't want to contemplate the pain of swingeing spending cuts, still less tax increases - or at least, not unless the pain falls on someone else, such as the undeserving rich or those piggy bankers (we're not alone in this - see this on the entirely similar US situation - HTP Ted Bromund). So here we are with our phoney election. Producing in all probability a phoney result. A result that will not provide a mandate for the kind of drastic action needed, and which leads straight down that old primrose path to a full-blown financial crisis, and huge emergency cuts to meet IMF conditions. We are not confronting the real issue facing us, and it is nobody's fault but our own. Hey ho. Time for a walk in that sunshine. So how many people will tune in tomorrow? What do you reckon? Will it make it into the top 20? And even if it does, will it make any difference? Tyler spent a chunk of today with people from various centre right think tanks. And despite the polls, the almost unanimous view among participants was a 20-40 seat Tory majority. TV debate or not, is anything really going to change over the next 3 weeks? PS How many did Tyler watch? Just 6. PPS Sorry, listening to the Great Orange Hain on Newsnight appealing to "decent progressive voters, be they Liberal Democrats, Greens, or Great Crested Wibblies" to vote Labour in order to keep out the "savage Tories", has made me vomit all over the keyboard. So this blog may be indecipherable. The thing about St Vince is that he's not only a trained economist, but he's also above reproach. When St Vince speaks on matters spiritual or temporal you may be assured it is the gospel truth. For St Vince is an honourable man. Which is why when he tells us the LibDem plan to raise the personal tax allowance to £10 grand is fully funded by tax increases elsewhere, we know it must be true. Yes, indeed. It must be true. But just in case, just in case there are any doubting Thomases out there - unbelievers whose souls stand in mortal peril - let's just see how St Vince's numbers add up. The LD plan is to increase the personal tax allowance from £6475 to £10000. They say it will cost £17bn pa. We don't know how they got to that figure, because it isn't explained on their website. Luckily, we have HM Treasury's tax ready reckoner, which allows us to calculate precisely what an allowance increase of £3525 would cost (or at least what the official Treasury calculation says*). HMT says that an increase of £100 would cost £650m pa (full year effect). So St Vince's increase would cost £22.9bn. Hmmm. That would appear to be £6bn pa higher than what St Vince says. And St Vince is an honourable man. It can't be right. Well, maybe £17bn is just the first year cost. The Treasury says that only amounts to £17.9bn, so maybe St Vince has taken £17.9bn and simply rounded it down. A bit. Althooooough... if it's just the first year effect, you'd kinda think St Vince might have wanted to mention that key fact. And he might also have wanted to mention that the tax increases to pay for this higher allowance are longer term revenues, depending in large part on closing supposed loopholes and cracking down on avoidance. And come to think of it, he might also have pointed out that HMRC has been unsucessfully attempting to crack down on avoidance since the time of Caesar Augustus. Then there are those spending cuts he claims to be so much more honest about. In reality, as we blogged here, he's only actually come up with one-fifth of the cuts he says we need - which ain't a whole lot better than anyone else. Poor St Vince. Back in the day when he could just criticise from the sidelines, his soul could remain reasonably intact. But now he's pitching for hung parliament power, he's been sucked down into the same dark pit of spin and half-truths that ensnare and condemn every other mortal sinner. 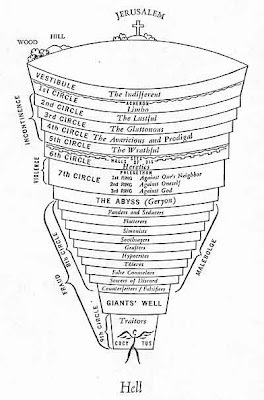 *Footnote A BOM correspondent has suggested we add some clarification. As you may know, HMT's tax ready reckoner is based on what's known in the trade as a "static" economic model. What that means is that it takes no account of the dynamic effects of cutting taxes - ie the stimulative effect on GDP growth and hence tax revenues. In reality, those dynamic effects will reduce the long-term fiscal cost of cutting taxes. How much is still a matter for debate, but Tyler believes the effect is significant. For example, recent work by Policy Exchange suggests that over the long-term, HMT's static cost of an increase in personal allowances could be more than halved. So shouldn't we give Vince credit for those dynamic effects? Well, yes we should - except for the fact that his associated tax increases would also have dynamic effects and they would go in the opposite direction. And as we say in the main post, we have no idea how he's reached his numbers because he hasn't levelled with us on the details. PS Those polls, eh? We've started to keep a record of which poll is saying what, so we can have a good laugh at them after the Tories win a working majority. The latest is today's Populus poll in the Times which has the Tory lead imploding to just 3%. Of course, if they turn out to be right, and if the electorate gets the hung parliament it supposedly now wants, and if St Vince becomes Chancellor, and if we get the huge financial crisis that will inevitably follow, then we won't be laughing. But then again, we won't be living here either. "We believe in responsibility: government responsibility with public finances, personal responsibility for our actions, and social responsibility towards each other. We believe in enterprise and aspiration. We believe there is such a thing as society, it’s just not the same thing as the state. Our fundamental tenet is that power should be devolved from politicians to people, from the central to the local. Personal ambition should be set as high as is humanly possible, with no barriers put in its way by the state." Hurrah. Government is not responsible for running your life - its responsibilities centre on keeping the public finances under control. All of us as individuals are responsible for our own lives - which is precisely what we've always thought (yes, OK, by individuals we actually mean individual families, but that's what Cam means as well). Individual responsibility, decentralisation of state power, and trusting us to run our own lives. Rolling back the state in favour of real people power. Sounds spot on. Of course, when you read the manifesto, there's an awful lot of vital detail missing. For example, there's no hint of decentralising tax raising powers to local authorities, although without that change, local authorities will remain the puppets of Whitehall. And despite the proposals for allowing worker cooperatives to run hospitals, the plans for the NHS basically sound like business as is - the critical role of customer power remains unclear. But let's not carp. It's one step at a time, and Cam's steps are definitely heading in the right direction. The BBC's coverage seems to have got stuck on the issue we blogged this morning - do people actually want to spend their time setting up schools, or voting for Police Commissioners, or volunteering? But that's missing the essential point. The essential point is that Cam is rolling back the state from its position as monopoly supplier of public services. Take schools. Personally I wouldn't expect many parent groups to set up brand new schools. But I would expect specialist providers - including for-profit companies - to move into this new market. After all, we don't as individual shoppers have to run our own supermarkets in order to get a good choice of food suppliers. All in all, Cam deserves a big tick. Just listened to Humphrys interviewing Hague. Humphrys was much exercised by the Tories' schools plan - in particular, the idea that parents will be allowed to set up their own schools. "That's a counsel of despair," says Humphrys. "Most parents don't want to have to run their own schools. Surely with all its power, government should be able to provide good state schools for all." Quite reasonably, Hague replied that if government power was the answer to everything, the Soviet Union would have been a huge success. Humphrys derided that argument as "preposterous". Which neatly encapsulates the difficulty for those of us who believe choice and competition is the key to improving our public services. Despite all the manifest failures of top down state direction - especially over the last 13 years - the consensus view remains that somehow, in some unspecified way, government must be able to deliver. After a century of big government, Humphrys and millions of others, can't quite wrap their heads around the idea that government really really can't do this stuff. Is it because they're all thick? Well, is it because they haven't got the facts? There's more truth in that. While there are plenty of instances of failing public services - picked over by Humphrys and his R4 Today colleagues every single morning - there's very little coverage of successful alternatives overseas (eg see this blog). In general, people don't know about continental-style social health insurance as an alternative to the doomed NHS, or US-style charter schools as an alternative to failing state schools. But even if people did have the facts - and Today could do us all a favour by reporting them more extensively - would they necessarily vote for change? Ex-teacher Mrs T reckons most parents will feel very nervous about the revolution Gove's free schools reforms imply. Parents may not like the existing schools provision, but revolution is scary, especially when it's your child's education on the line. Which is why Gove needs to get on with it as quickly as possible - the new system needs to be given as much time as possible to demonstrate its success before the next election. 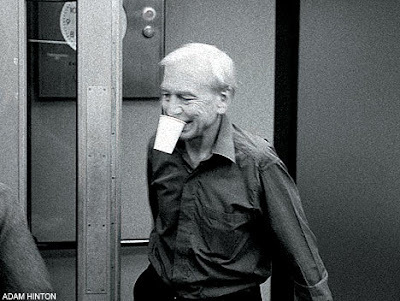 What we don't want is wimping around in the face of flak from the unions and derision from an outraged Humphrys. That really would be a counsel of despair. "We will not raise the basic, higher and new top rates of tax in the next Parliament." Have you spotted the difference yet? Yes, that's right - it's that bit about the new top rate of tax. As you will know, Statement 1 comes from the 2005 Labour election manifesto, when they solemnly promised not to raise either the basic or top rates of income tax. Statement 2 comes from their 2010 election manifesto, after they'd increased the top rate in direct contravention of their promise in 2005. Plus of course, they've also slammed us with the NICs increase, which is income tax by another name. And even if you're a trusting soul who believes they weren't necessarily lying through their teeth in 2005, it underlines the fact that promises from NuLabour ain't worth a bucket of warm spit. So WTF should anyone take these busted charlatons seriously? They haven't a clue how they'd fix our problems, be it our debt, our bombed out economy, or our dysfunctional public services. All Brown could come up with today was yet more top-down Stalinist direction from the desk of Mr Bean. Who has done quite enough damage already. And as for launching the manifesto in a new NHS hospital that is costing us taxpayers £2.5bn, who do they think they are? That hospital belongs to us, not them. Add to that their scare cancer cards - obviously sent using confidential NHS data - and we're looking at the politics of the gutter. Last night we watched Health minister Mike O'Brien struggling to explain this outrage away. We actually ended up feeling sorry for him. He was probably a decent enough guy until he got involved with this crowd. He looks like he might even have gone into politics for those now ludicrous "public service" reasons. But here he is on telly, squirming around attempting to defend the indefensible. A bullet in the head would be a kindness. 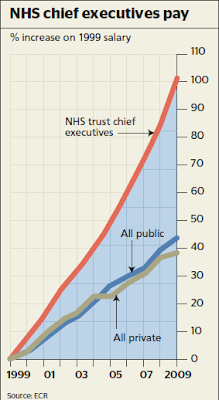 "Chief executives of foundation trusts — the top band of NHS trusts — earned £157,500 in the year to March 2009 and had a 7.8 per cent salary rise. The report, from Incomes Data Services (IDS), showed that the average pay rise for chief executives across the health service was 6.9 per cent — the equivalent to an annual salary rise of almost £10,000. It followed a 6.4 per cent rise in 2007-08." This compared to a 2.75% rise for nurses, and put the top paid managers on well over £200 grand a year. The editor of the IDS NHS Boardroom Pay Report says: “It seems that the equation has fallen on the side of high salary awards with pay continuing to run ahead of the rest of the workforce.” Yes, it sure does seem that way. So how can it possibly be justified? We're back to the peanuts and monkeys argument - if taxpayers aren't prepared to pay up, then the public services will be run very badly. But paying loads of money to the bosses doesn't necessarily solve the problem. You could simply end up with a bunch of overpaid monkeys - and there are plenty of indications that the NHS has done precisely that. The more thoughtful public sector managers recognise that their big pay increases have not resulted in much change. The extra money has simply gone to people who would have been doing the job anyway. "People join, and remain in, the public sector because of a sense of vocation — to make a difference to society or to the quality of people’s lives. The best leaders are those who can secure long-term public value and a vision for their staff. Not some mercenary performance manager peddling a short-term fix. And, here is the irony: public sector leaders would have continued to provide that leadership for far less pay." Well done Sir Norman, for sticking your head above the parapet. And even if all this extra money did somehow manage to attract a whole new cadre of brilliant managers from outside, would they be able to manage? Suppose all those successful private sector managers who've spoken up against the NICs increase had spent their careers working in the public sector instead. Would they have been allowed to manage? Would they have had freedom to take the nasty decisions that are so often necessary to shape winning businesses? Take the BBC. Personally, I've no idea whether boss Mark Thompson is a monkey, but he sure gets a load of peanuts (£800 grand pa). And yet nobody could seriously argue he runs an efficient operation. BBC waste and expense is legendary. Just today we hear he's caved in to pressure on closing down 6 Music. Here's a pop-pickin' music station that costs taxpayers a packet and could easily be provided by the private sector (if there's actually a demand for it, that is). But a few months campaigning by opponents of closure - and doubtless some backroom pressure from the politicos - has sent Thompson running for the hills. He's folded without a fight. And that's the public sector for you. There's no upside for managers taking courageous decisions. There's no crucial bottom line like private sector businesses have. No paying customers whose word is law. Just a load of political pressure and fudge. As we've blogged many times, the only way we can achieve real efficiency in the public sector is to break it up, and put customers in charge. Choice and competition are ultimately what drive efficiency in the private sector - not better managers per se. The better managers are the result of choice and competition, and the horrible realisation that nobody owes you a living. When it comes to the recruitment and retention of managers, the truth is that most public sector organisations are in competition not with the private sector, but with other public sector employers. The reason that the public sector is unappealing to management talent from the private sector is not a simple question of pay, but the contraints under which public sector managers must operate. Which leaves us paying increasing amounts of money for underperformance. Underperformance that is hard-wired into the public sector's very structure. PS Not everyone thinks all those pay increases for public sector bosses have been wasted. The colourful and controversial London Assembly member Brian Coleman was last night given a free hit by BBC News to say that objectors like the TPA "know the price of everything and the value of nothing". The really shocking thing is that Coleman - who incidentally spent nearly £10 grand of our money on taxis in 2007-08 - reckons he's a Tory. He makes Tyler ashamed. Crucially, the Debt Clock will tour around the whole country, stopping off at national landmarks and key cities to raise awareness of the national debt amongst the taxpayers who will one day have to pick up the bill for politicians’ reckless borrowing." The tour kicks off in London, and full details are set out on the Debt Clock website. And remember, the government is currently borrowing nearly £0.5bn per day. Look out for the clock in front of an expensive government building near you. God, they're desperate. And giving their union backers a Cadbury Law shows just how desperate. Typically, the Law was announced by Newsnight's Trotskyite economics editor. It's supposedly aimed at making it much harder for foreigners to take over British companies, which apparently will stop Britain losing any more British jobs for British workers. For one thing, British jobs can just as easily be exported by British companies to their own factories in Eastern Europe and Asia. Indeed, Cadbury was doing precisely that - 80% of its business and 85% of its employees were already outside the UK, as were 78% of its shareholders. More fundamentally, changes in company control are part and parcel of the way our hugeley successful market economy works. And there is no serious evidence that Britain loses out from the process overall. These are big scary changes. But as the Economist points out, many of the feared foreign takeovers have actually proved immensely beneficial to Britain. The workers from Austin Rover's old clapped out Cowley plant must wake up every morning and give thanks to BMW for rescuing them: they now work in the booming Mini biz, with 80% of their 200,000+ annual production exported. And throughout our economy, we have gained from the rapid importation of best practice from leading global companies - stuff we'd have taken decades to learn otherwise. Labour are now putting all that at risk, They're sending out yet another signal that profit-focused businesses are not welcome here. The bottom line? It's increasingly clear that Labour no longer expect to win the election. What's happening now is a series of moves by factions inside their divided leadership to position themselves for the aftermath of defeat. Which is fine, as long as they do indeed lose. But WTF will happen if they win? They've comprehensively lost the business support they once so assiduously cultivated, both here and abroad. 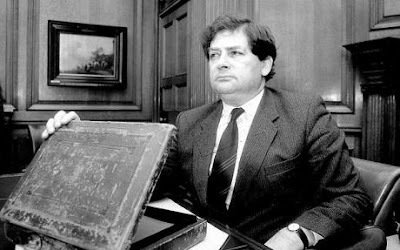 A Labour win now would be greeted in the same way as business and the market greeted the Labour win in 1974. Sterling would tank. Gilts would tank. And this time, the equity market would also tank. We'd be facing that mountain of debt without even a shovel. No. It really doesn't bear thinking about. 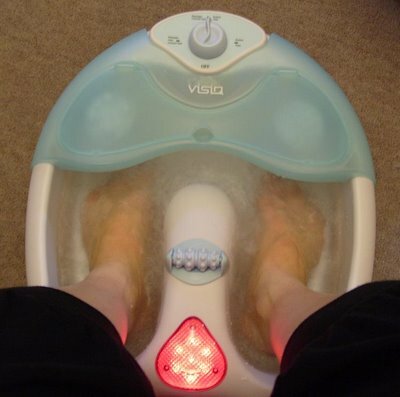 Tyler is soaking his feet after a day out canvassing. The good news is that judging from today's feedback, the polls are seriously underestimating the Tory lead. Yes, OK, it's an affluent Tory constituency down South, so Tyler can't present a national picture. But in 2005 the support in this same constituency didn't feel anything like as strong. And as we all now understand, the polls schmolls are subjected to such tortured statistical gymnastics before they appear in the headlines we should take them with a huge shovel of salt (it will be fascinating to see just how much egg has been spattered across those famous polling faces on 7 May). Sleaze obviously came up, but that's not a problem for this Tory incumbent, who's as clean as a whistle and known to be so. Fuel prices - absolutely beyond a joke. Tyler was able to hammer home the point that 65% of it is tax (eg see this blog). Soft on crime - yes, that old favourite is still there. 16 violent attacks in just the last 2 months. A shocking commentary on Labour's failure to grip violent crime. How many of our 6m public sector jobs are just another form of welfare? The reason I ask is that listening to today's BBC coverage of the continuing debate over National Insurance Contributions (NICs), the question didn't get a mention. The BBC naturally began the day by giving prominence to Labour claims that the Tory plan will cost jobs because of the associated spending cuts. But as the day progressed , it gradually dawned on them that all parties are planning to cut spending, so all parties will cut jobs. And that's A Very Bad Thing. And on one level of course, it is a bad thing. Nobody likes to see people losing their jobs. But the trouble is public sector jobs cost money. And right now, we don't have any money. So unless we cut spending on public sector pay, we'll have to find the money by some other means - like increasing NICs, which will cost up to half a million private sector jobs. However, even setting aside that point, how many of these jobs are producing valuable output - stuff the rest of us actually want? Suppose for a moment we weren't under the money cosh. Suppose we had fiscal flexibility to employ all our current public employees and maybe some more on top. Would that make sense? "If the Treasury were to fill old bottles with bank-notes, bury them at suitable depths in disused coal-mines which are then filled up to the surface with town rubbish, and leave it to private enterprise on well-tried principles of laissez-faire to dig the notes up again (the right to do so being obtained, of course, by tendering for leases of the note-bearing territory), there need be no more unemployment and, with the help of repercussions, the real income of the community, and its capital wealth, would probably become a good deal greater than it actually is." Which is more or less the current Labour argument - keep all our public employees in jobs because, although many of them are doing the public sector equivalent of burying bank notes and digging them up again, at least they're in employment, which must be a good thing. "Ancient Egypt was doubly fortunate, and doubtless owed to this its fabled wealth, in that it possessed two activities, namely, pyramid-building as well as the search for the precious metals, the fruits of which, since they could not serve the needs of man by being consumed, did not stale with abundance. The Middle Ages built cathedrals and sang dirges. 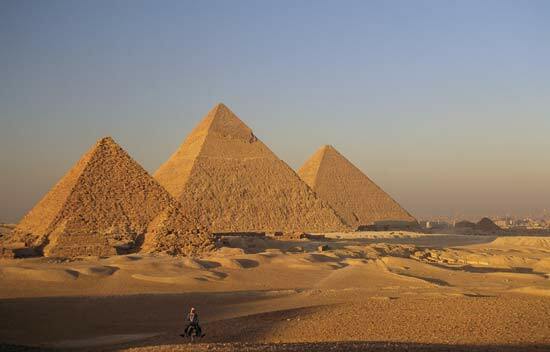 Two pyramids, two masses for the dead, are twice as good as one; but not so two railways from London to York." What he's saying in essence is that there's a mass of people who for whatever reason cannot produce anything that other people want to buy. So the best thing to do is employ them on public projects. Projects that don't compete with the stuff other people are producing , by reason of the fact that these projects don't produce anything of any actual value to anyone (other than the producers themselves and the high priests/commissars). This is public employment as welfare. And when we look at the high dependence on public sector jobs in the depressed regions of Britain today, we can see it's more than an empty slogan. The one slight snagette is that welfare employees still need paying (even the Egyptian slaves still needed feeding). Which means that someone else has to part with the fruits of his own labour in order to provide the wherewithal. And all he'll get in exchange is the sight of another new pyramid, or if he's lucky, a government promise to repay the loan in some distant future, probably in debased coinage. Getting low skill, low productivity, welfare dependents into work is going to be one of the very toughest challenges facing Cam's government. Given the catastrophic fiscal legacy, leaving them on the public payrolls will not be an option. PS Interesting article here about the ancient Egyptian economy. It was essentially a command economy, with high levels of taxation and slavery. Life expectancy was 24. Keynes was a towering genius who shed huge light on the way economies work. But he was also a member of the Bloomsbury group of champagne socialists, who had little faith either in the market's ability to invest rationally, or to provide jobs for all. He believed in the existence of noble commissars, such as his good self, who could plan and organise things much more scientifically. Not a lot of people know that. Or at least, they choose not to remember it. So Who Do We Trust To Get Us Growing Again?